Anomaly Detection is an important research domain of Pattern Recognition due to its effects of classification and clustering problems. 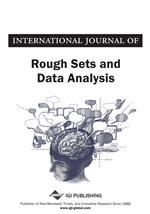 In this paper, an anomaly detection algorithm is proposed using different primitive cost functions such as Normal Perceptron, Relaxation Criterion, Mean Square Error (MSE) and Ho-Kashyap. These criterion functions are minimized to locate the decision boundary in the data space so as to classify the normal data objects and the anomalous data objects. The authors proposed algorithm uses the concept of supervised classification, though it is very different from solving normal supervised classification problems. This proposed algorithm using different criterion functions has been compared with the accuracy of the Neural Networks (NN) in order to bring out a comparative analysis between them and discuss some advantages. Barnett et al. (1994) described the definition of anomaly detection as the exceptional data objects that deviate from the characteristics of most of the data objects in the system. Aggarwal et al. (2001), notes outliers as noises lying outside a set of clusters. Thus, they concluded anomalies as noises introduced during data acquisition, which results in their aberrant behaviour along with their location which is outside from almost all defined clusters in the system. Chandola et al. (2009) discussed many anomaly detection techniques that have been developed for certain application domains, while others are more generic. They have presented a survey report based upon the existing methods used for Anomaly Detection. This paper provides and structural and comprehensive overview of the existing anomaly detection methodologies. It also deals with different detection techniques with their complexities that helps to analyze which type of anomaly detection algorithm is suitable for a particular selected scenario.